The agreement was signed on March 24, 2004. 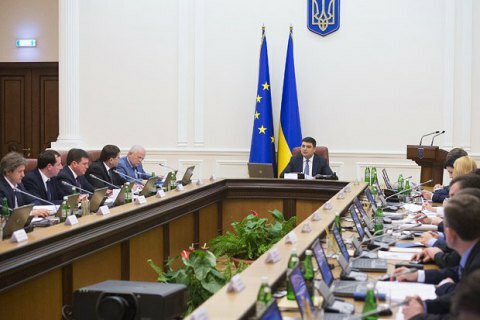 Ukrainian government at a Cabinet meeting on Wednesday, 9 August terminated the intergovernmental agreement with Russia on cooperation in the export of military products. The deal adopted in 2004 aimed to establish interaction between the two countries in the export of military goods (products) to third countries. The agreement covered military products that have been jointly developed, produced or modernized after January 1, 1992, the list of which was annually updated, except for military products reciprocal deliveries in accordance with the agreement on production and scientific and technical cooperation of national defence industries. Ukraine has consistently pulled out agreements with Russia, especially in defence sphere, after Russian occupation of Crimea and the invasion of Donbas. In 2014, Ukraine stopped exporting military and dual-purpose products to Russia. The government of Ukraine in May 2015 terminated the 1993 intergovernmental agreement with Russia in the field of military-technical cooperation. In August of the same year, the government denounced the 1993 intergovernmental agreement with the Russian Federation on the production and scientific and technical cooperation of defence industry enterprises.